In the last few years, a wave of new canning books have been published and each has its individual charms. Can It, Bottle It, Smoke It is an amazing resource for fun, DIY foods (like homemade corn flakes!). 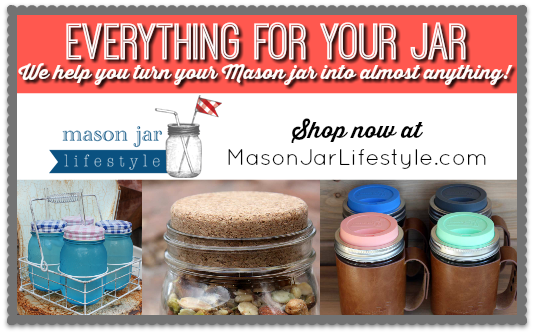 Putting Up More is just the thing for the home canner who wants to move beyond the standard array of preserves. Tart and Sweet is perfect for creative folks who want to impress at the holidays or at their local food swap. Like these other volumes, Sarah B. Hood’s new book, We Sure Can! also has a very distinct reason for being. 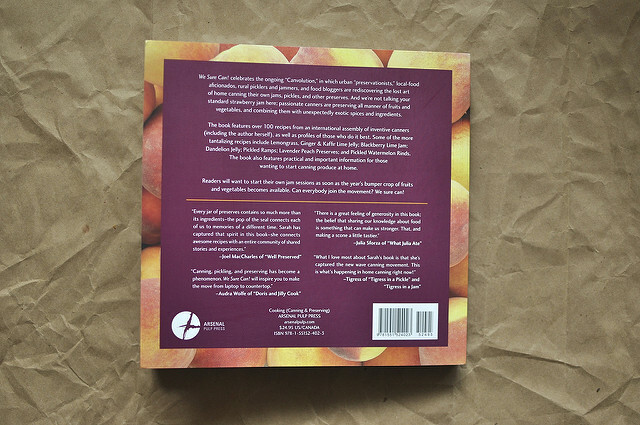 Part cookbook, part story of this most recent food preservation movement, it will lend confidence to new canners and remind seasoned preservers that they are not alone out there. One of the most glorious things about We Sure Can! is that it is written from a place of sharing and generosity. So many new cookbooks seem to be crafted in isolation, without acknowledgement of the community from which they draw inspiration. 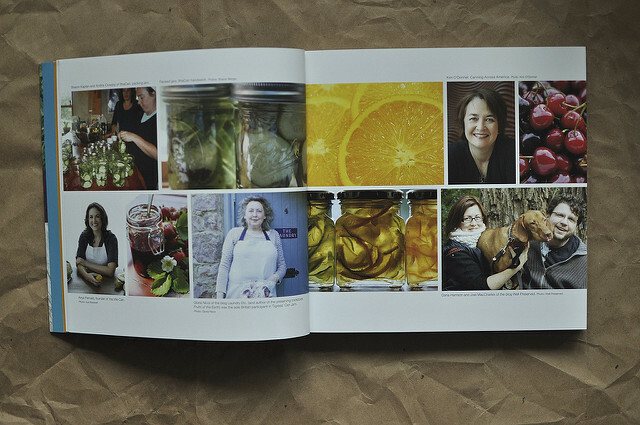 Sarah’s book is a celebration of the many chefs, cooks and bloggers who have played roles in the energy that has gathered around canning in the last few years. 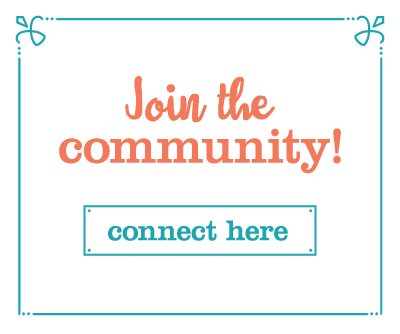 Bloggers like Audra Wolfe from Doris and Jilly Cook and Joel McCharles from Well Preserved are featured prominently. Images from Shae Irving of Hitchhiking to Heaven and Leann Locher of Lelo in Nopo are included in the many gorgeous photography spreads. And the recipes! Tucked among Sarah’s many prize-winner recipes are preserves from Gloria Nicol (author of the blog Laundry Etc. 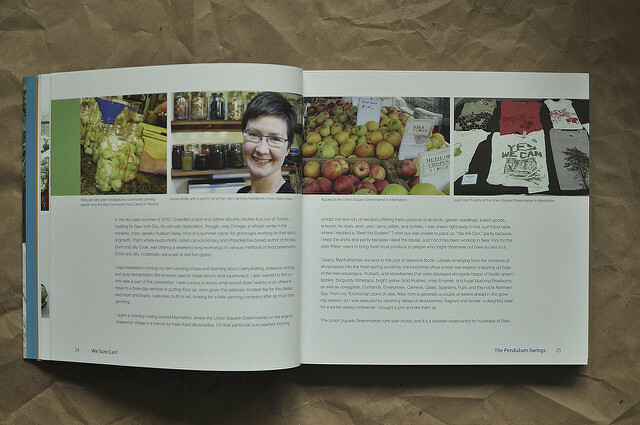 and the book Fruits of the Earth ) and pickles from Julia Sforza (she writes What Julia Ate) to name just a couple of the contributors. For those of you who like a bit of dependability in your recipes, this book should go on your shelves. 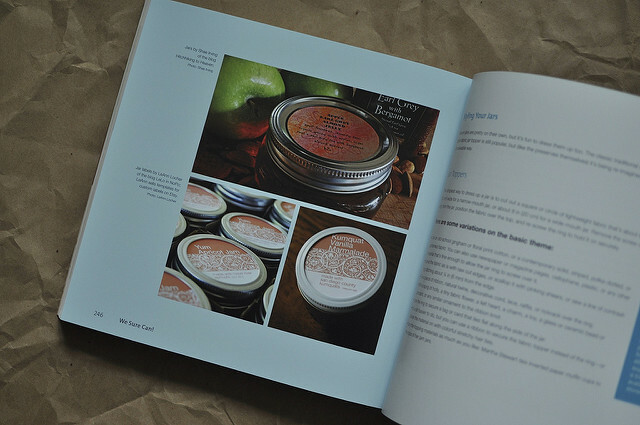 There’s not a single preserve in this book that isn’t tested and beloved by the recipe contributor. 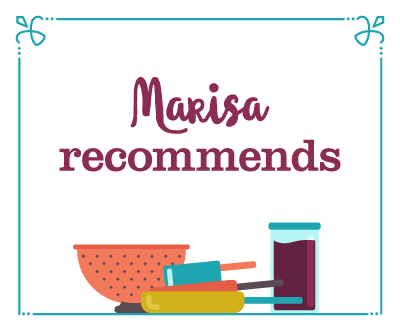 If you’re a regular reader of canning blogs, you’ll be happy to see many of your favorite bloggers have offered up their best preserves for inclusion. 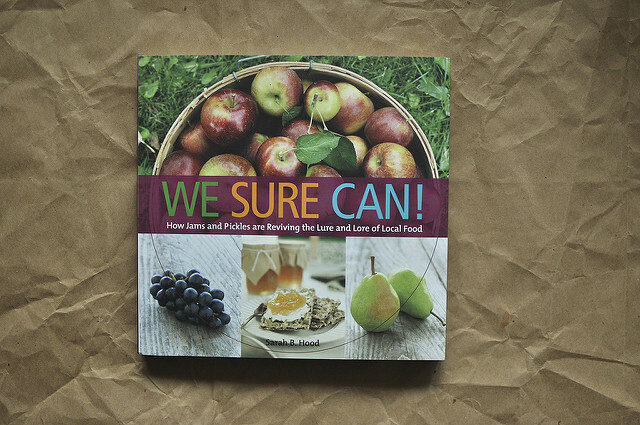 If you’re looking for a book to give to a friend to help then on the path towards home food preservation, this is one you should most certainly consider. In addition to all the things I’ve gushed about already, you should also know that the front section of this book is an approachable, unfussy introduction to everything you need to learn before firing up your canning pot. I am so delighted to add this volume to my collection of canning books (you should know, I did receive a free review copy, but I’d have gladly paid for it). Well done, Sarah! I’m not terribly new to canning, but just this year I’ve stepped up my game a bit. I kept track of every canned good I purchased for a year & I vowed to can them all this season. I haven’t gotten it all done, but that’s not entirely due to my own laziness. In part, I’m not sure how to make & can some of the stuff I’ve bought. So, I’m thrilled when you post your recommendations for preserving books! Thank you! 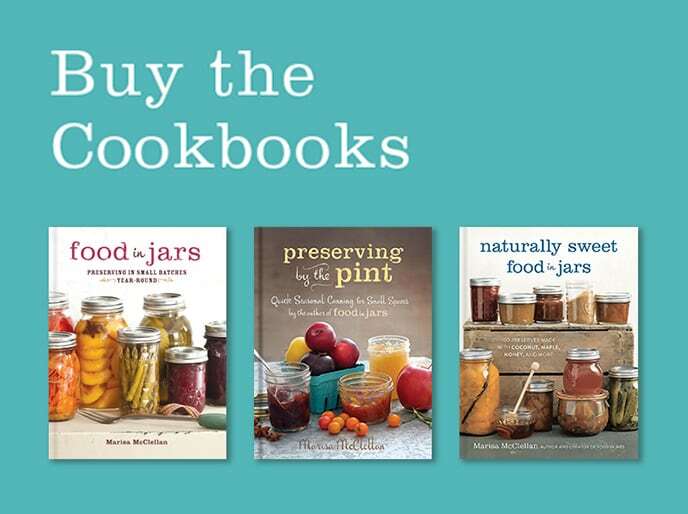 so very cool-I had no idea she was writing a canning book! and it looks so gorgeous. This looks like a wonderful resource – thanks for the heads up. So excited for this one – and when is YOURS out? Just bought a copy the other day – can’t wait to check it out. I just bought the new small-batch basket from Ball, and I used it this morning to can 3 pints of chunky cinnamon applesauce and have one for the fridge. My stockpot is a little short for it, but I removed the handle so it worked just fine anyway. It’s easy enough to put back on after the processing time. It sure is faster than my huge pressure canner; I’m going to like it for putting up just three pints at a time. There are only 2 of us at home now, and not a lot of storage space, so this is just the ticket. I can make that large pot of vegetable soup and can the leftovers instead of taking up freezer space. I’m thrilled about that! 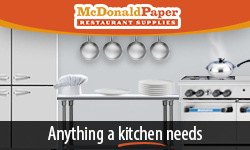 Now I’d love some small-batch recipes! It isn’t always easy to downsize the big ones. Next project: More applesauce, then my homemade salsa! Ole! P.S. This sweet little small-batch basket is the perfect way for a beginner to achieve canning success without a big investment! Eleven dollars with tax, delivered to your hometown Wal-Mart. You can’t go wrong with that. What a great suggestion!!! As if I need another reason to buy more cookbooks!!! Wish it came in hardcover but oh well. Thanks again!!! I’m glad to see such a resurgence of canning/preserving enthusiasts! 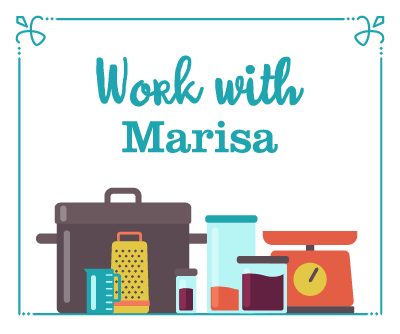 I’d encourage all new canners to start with the basics – the Ball Blue Book (the most recent version, 2011), University of Georgia’s National Center for Home Food Preservation and your local cooperative extension agency. 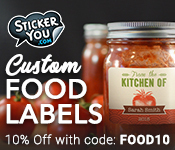 These are invaluable resources and teach safe canning and food preservation methods. And on that note, I’d also encourage everyone to let their legislators know how important these Extension Agencies are. These are the nutritionists and food scientists who have worked for decades to develop safe and healthful techniques and recipes. They also developed the Master Food Preserver and Master Gardener programs that many people have used to develop their own businesses. They are sorely underfunded and, with our economy they way it is, even more important than ever!